Laura Geller GlamLASH Mascara. Capture all the glamour of Old Hollywood with this must-see-it-to-believe-it volumizing mascara! Starlet-worthy lashes are yours with one sweep of the unique brush that has short bristles to deliver maximum product and long bristles to separate and lengthen lashes without clumping. Panthenol and Natural Waxes help lashes stay soft and conditioned. 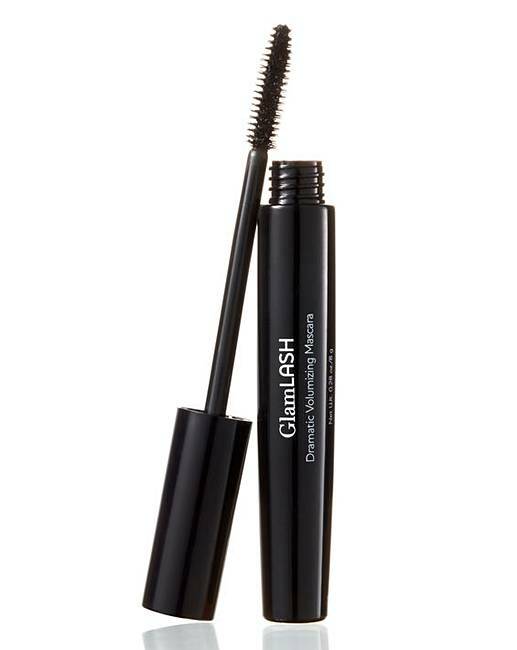 With a jet black, long-wearing formula, your lashes are now ready for their close-up! How to use: Apply from the base of the lashes and sweep toward the tips of the lashes in long, upward strokes.